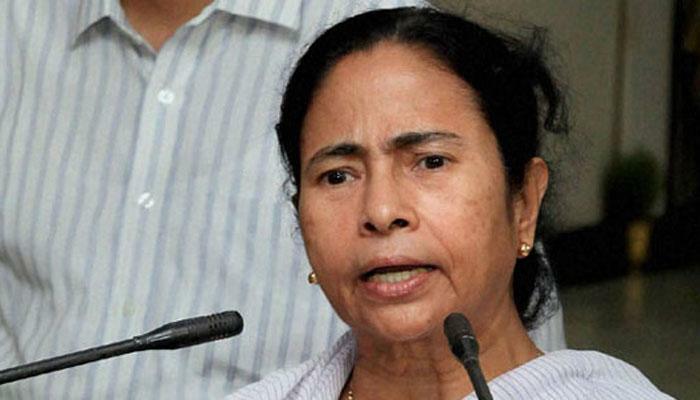 The West Bengal Assembly on Tuesday passed the State Goods and Services Tax (SGST) Bill, 2017, even as Chief Minister Mamata Banerjee said her party TMC’s ideological position on GST would not alter. “The common people are facing problems and since we (TMC) value democracy the party will stand behind the masses,” she said speaking in the Assembly after the passing of the Bill. “The Centre could have fed many poor people with the money which had gone in the ad spend for creating awareness about GST… The country is now in an acute crisis,” she said. The state had issued an ordinance in June and to facilitate treasury operations by the government from July 1, the date of implementation of the new tax regime across the country. Banerjee said the government had “no option” but to issue the ordinance on GST as otherwise, the state would not have been able to conduct any treasury operation. “The state government is sitting before the nozzle of a gun and the central government machinations forced us to do that,” she said. Crediting former finance minister Asim Dasgupta, also the chairman of the empowered committee of finance ministers on GST then, for preparing the initial draft, she, however, decried his midnight presence in the Parliament session when the new tax regime was formally introduced. She questioned the presence of Dasgupta, who cited personal reasons for being present there, although his party (CPI-M) had boycotted it. Dasgupta had endorsed it by his presence, she said. The textile sector, medicine shops, small businessmen had been affected by the new tax law, she said, adding that demonetisation and GST were “two big scandals” perpetrated by the BJP-led government at the Centre. CPI(M) leader Sujan Chakraborty questioned the state government’s hurried approach in passing the Bill as enough time was still left to do so.